VII – The Smallest of them All. with our guide: Serve, not Serve yourself/ Represent, not Supplant/ Construct, not Destroy/ Obey, not Command/ Propose, not Impose/ Convince, not Defeat/ Go Below, not Climb Above. The texts that will appear in this seventh and final part of “Them and Us” are fragments taken from the “First Grade Notebook from the Course: Freedom according to the Zapatistas. 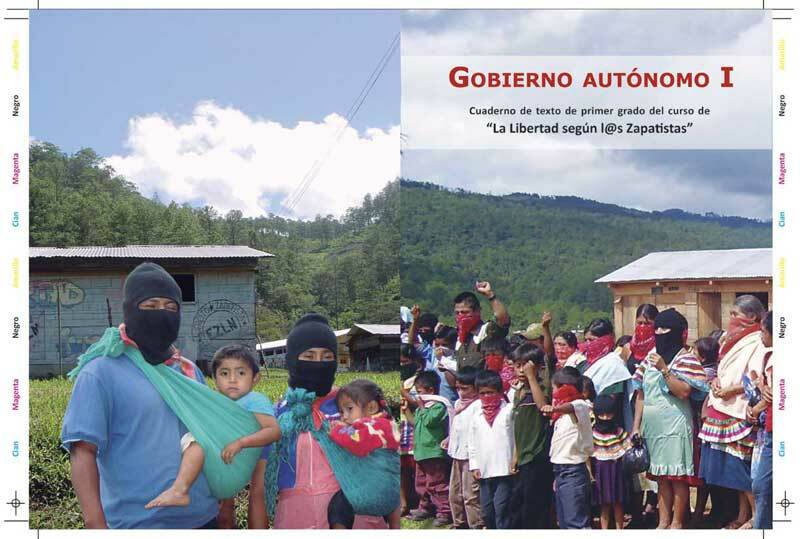 Autonomous Government I,” and “First Grade Notebook from the Course in: Freedom according to the Zapatistas. Autonomous Government II.” The Spanish version is ONLY for compas who are part of the Sixth (We hope there will be versions in the original languages as determined by the National Indigenous Congress, as well as in English, Italian, French, Portuguese, Greek, German, Euskera, Catalonian, Arabic, Hebrew, Galician, Kurdish, Aragonese, Danish, Swedish, Finnish, Japanese, and other languages, according to the support of compas of the Sixth around the world who know about the task of translating). These notebooks form part of the support material for the course that the Zapatista bases of support will give to the compas of the Sixth in Mexico and from around the world. All of the texts are authored by the Zapatista bases of support, men and women, and they include not only the process of the struggle for freedom, but also their critical and self-critical reflections about our path. 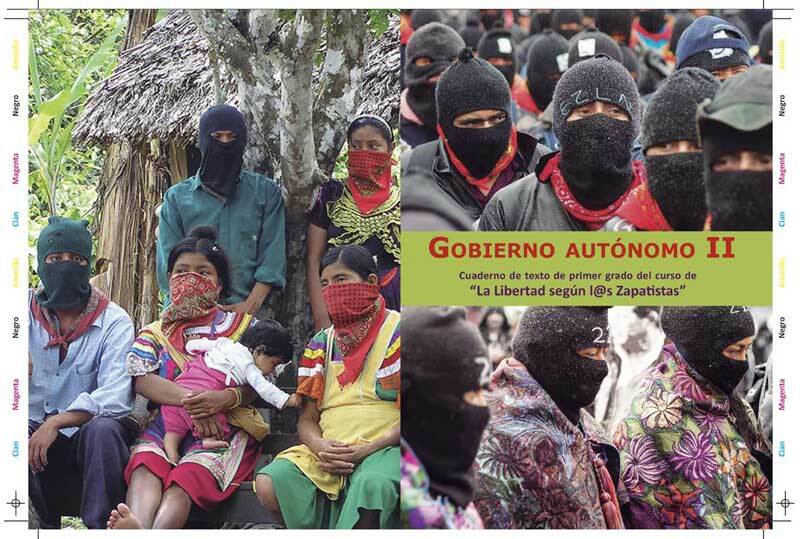 That is, they demonstrate how we Zapatistas see freedom and how we struggle to achieve it, exercise it, and defend it. This class in the little Zapatista school, as you now know, is called “Freedom according to the Zapatistas,” and it will be given directly by compañeros and compañeras who are bases of support of the eezeelen, who have carried out the various tasks of government, vigilance, and other diverse responsibilities in the construction of Zapatista autonomy. In order to be admitted to the little school, in addition to being invited, the compas of the Sixth and special invitees will need to take a few preparatory, previous, or propaedeutic courses (or however you say what comes before kindergarten), before passing into “first grade.” These courses will be given by compas from the support teams of the EZLN’s Sixth Commission and have as their only objective to give you the basic elements of neo-Zapatista history and our struggle for democracy, liberty, and justice. In geographies where there aren’t compas from the support teams, we will get you the syllabus so that all invitees can prepare. The dates and times, that is, the calendars and geographies in which the courses will be given by the Zapatista bases of support, will be announced in the appropriate moment, always carefully taking into account the situation of each individual, group, or collective invitee. All of the invitees to the course will receive it, no matter if they can come to Zapatista territory or not. We are studying the possible forms or ways to reach your hearts, whatever your calendar and geography may be. So don’t worry. Okay then. Cheers, now just prepare your heart, and, of course, your pencils and notebooks. P.S. THAT GIVES LESSONS IN MANNERS. This seventh and final part of the series “Them and Us” consists of various parts and is ONLY for the compas of the Sixth. Along with part V (which, as its numeration indicates, is called “The Sixth”) and the last of part VI. The Gazes 6: We are He,” form part of the private correspondence that the EZLN, through its spokespeople, directs to the compas of the Sixth. In each of these parts, as in the present writing, we clearly signal to whom the texts are addressed. For those who are not compas and try to mock, enter into polemics, argue, or respond to these texts, we remind you that reading or commenting on the correspondence of others is what is done by gossipers and/or police. So you should keep track of what category you’re in. In addition, your comments only reflect a vulgar racism (you’re so critical of TV and yet you merely repeat its clichés), and reiterate your lack of imagination (which is a consequence of lack of intelligence… and laziness about reading). Although, of course, you will have to broaden your silly little chant of “marcos no, ezln yes” to “marcos and moisés no, ezln yes,” and then later, “CCRI-CG no, ezln yes.” Later on, if you hear the direct word of the Zapatista bases of support (which I doubt will happen), you will have to say “ezln no, ezln neither”), but it will already be too late. “La Estrella del Desello” with Eulalio González El Piporro. The track appears also as a shorter version, in the film “La Nave de los Monstruos” (1959, by Rogelio A. González). It doesn’t have anything to do with the eezeelen, I put it here out of stubbornness, and to greet the compas of the north: don’t give up, even though you’re far away, we’re going to include you in our gaze. ¡Ajúa! “La Despedida” with Manu Chao and Radio Bemba, in an indigenous Zapatista community.